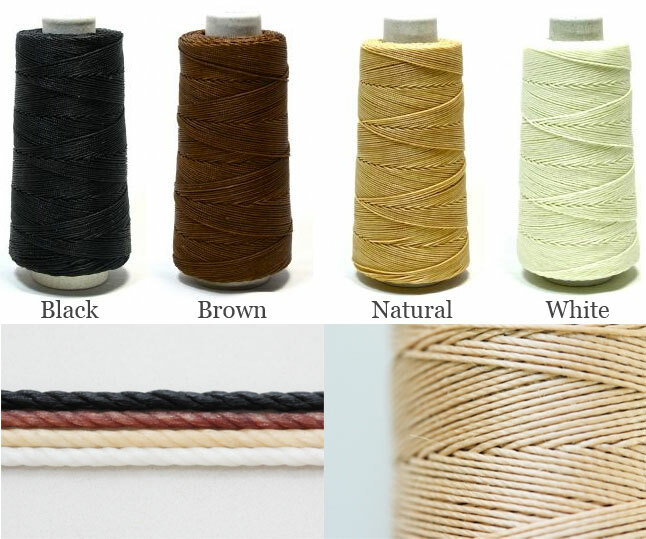 This non-stretchable thread #0, measures 0.8mm (0.03 inches) when uncompressed and has been braided in the same way linen thread has, providing smooth and consistent stitching for wallets, bags, saddles, etc. Comes in a variety of colours, including black, beige, white and dark brown leather. This 0.8mm thread is best used for most leatherwork, from saddles to bags, to wallets.